lalu di-restart jika telah selesai. setelah itu kita siapkan beberapa tools pendukung untuk meng-compile NGINX dari source code. 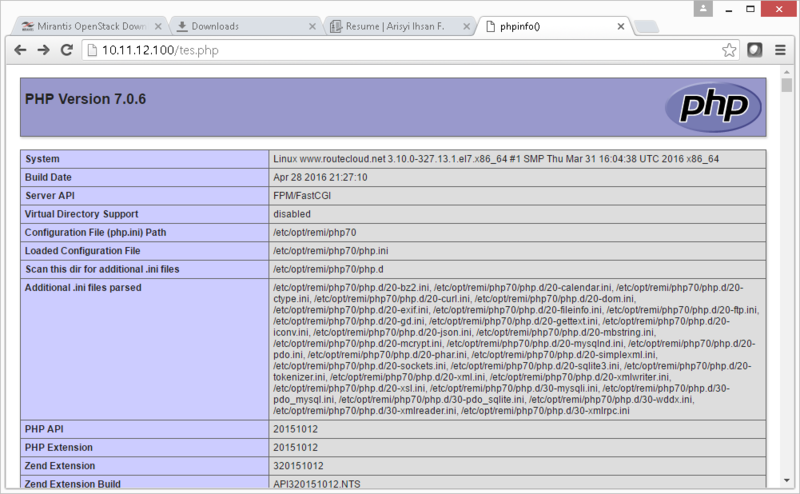 kalau sudah selesai install NGINX mari dilanjut install php-fpm agar bisa memproses PHP. Enter current password for root (enter for none): OK, successfully used password, moving on... Set root password? [Y/n] y New password: Re-enter new password: Password updated successfully! Remove anonymous users? [Y/n] y ... Success! Disallow root login remotely? [Y/n] y ... Success! Remove test database and access to it? [Y/n] y - Dropping test database... ... Success! Reload privilege tables now? [Y/n] y ... Success! oke, cukup sekian dulu yaa, nantikan tutorial berikutnya, selamat mencoba.